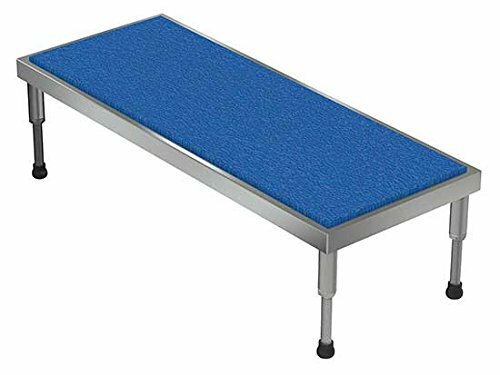 The Adjustable Work Stand - Work Step Platform help to keep employees at the ergonomically correct height, preventing worker strain and fatigue during long shifts. These units are ideal for use when multi-shift employees must use the same piece of equipment. Two types of platforms are available: serrated for a sure grip in wet environments, or ergonomic matting for extra employee comfort. Each leg's height can be individually adjusted for the ideal working height. Deck Size (W x L): 19" x 48"
Service Range: 9" to 14"